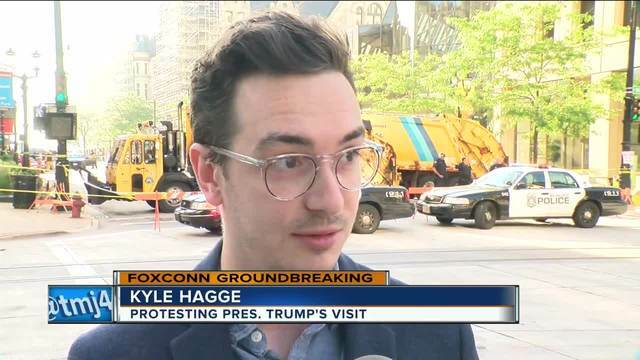 MILWAUKEE --The following is as-it-happened coverage of President Trump's visit to Milwaukee, Racine and the Foxconn plant as it opened Thursday. President Trump's motorcade departs the Pfister Hotel in downtown Milwaukee for Foxconn groundbreaking in Mount Pleasant. More live coverage of protests just off of I-794 westbound that have blocked an off-ramp east of the Milwaukee River. 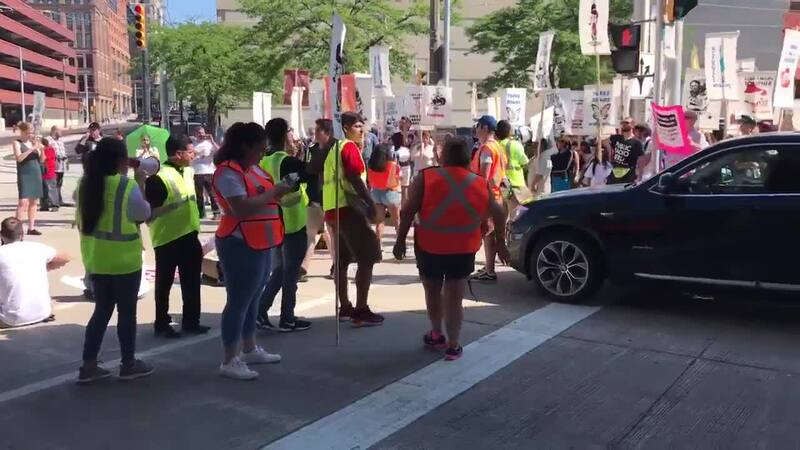 Live video as it happened of the scene involving protests, from TODAY'S TMJ4's Coreen Zell. 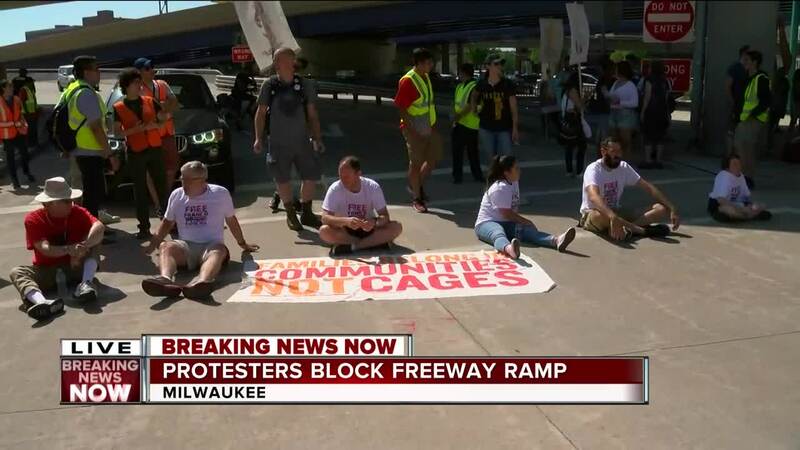 Traffic backups were found on the I-794 freeway with blocked ramps due to the protests by Voces de La Frontera. Click here for traffic updates. President Trump was appearing at a Republican fundraiser at the Pfister Hotel Thursday morning before his appearance at Foxconn in Racine. 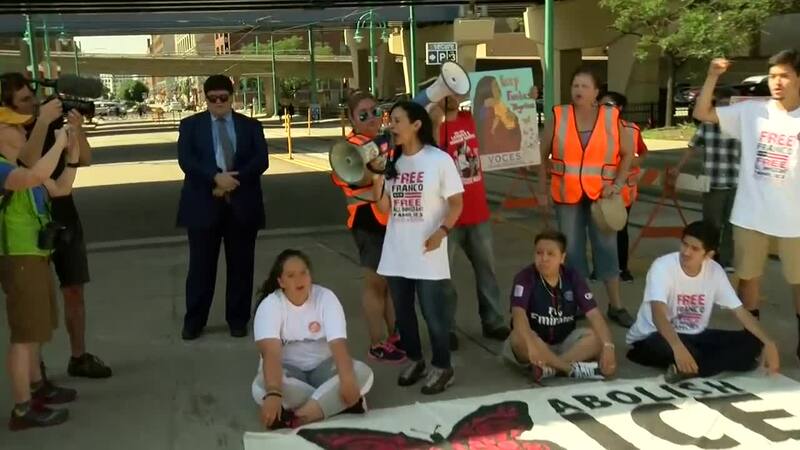 Meanwhile, protesters were marching, sitting and giving their opinions about the Trump administration's actions on immigration, including plans to house 12,000 migrants through the Department of Defense and its current actions to separate children from their family members who illegally enter the country. Milwaukee Teachers Education Association Vice President Amy Mizialko spoke tearfully to CNN while sitting in the street on the east side of downtown Milwaukee, blocks from the Pfister. "I would want people to fight for my family. It's that simple." Protest form near Pfister Hotel where President Trump is staying. 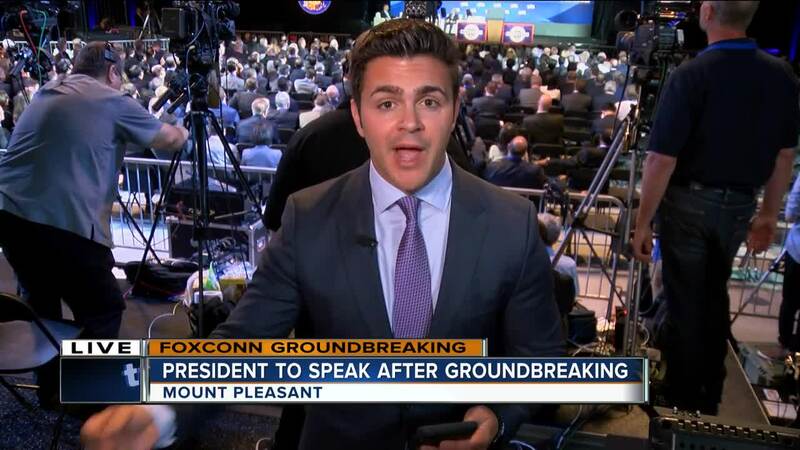 MOUNT PLEASANT, Wis. (AP) — Protesters are planning a vigorous welcome for President Donald Trump as he visits Wisconsin for a ceremonial groundbreaking of the $10 billion Foxconn Technology Group campus. They’re converging on Mount Pleasant, about 30 miles south of Milwaukee, where the beginning of work on the 20-million-square-foot campus was to be celebrated Thursday.